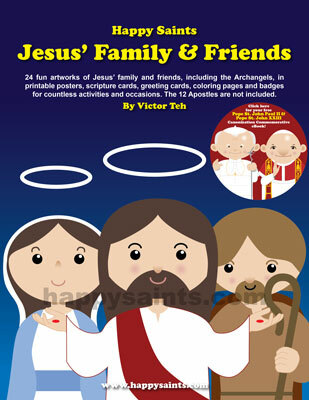 The ‘Happy Saints Jesus' Family and Friends’ eBook is a great resource for Advent & Christmas! Featuring the Lord Jesus, Mother Mary, St. Joseph, St. John the Baptist, Archangel Gabriel and many others! This is a great time to introduce your family, students or parishioners to these New Testament characters!